Ah, the wine bottle. The vessel that holds the liquid we love. They come in all shapes, sizes and colors, so here’s the breakdown of everything you need to know about wine bottles. Though wine now comes in boxes and cans, nothing will ever beat a glass bottle. First developed in 1634 in England, the first wine bottles were made of black glass. They have since transformed into many shapes, sizes and colors, but they all serve an important purpose. Though most wine bottles are simply a vessel, Champagne bottles often serve as a fermentation “tank”. When using the traditional method, wines will actually ferment within the bottle. You generally have either clear glass or green/brown glass. Reds almost always use a green/brown glass to protect the liquid from natural light and conserve its best qualities. White and rosé wines tend to use clear glass so you can see the wine’s coloring. A standard wine bottle holds 750 ml, and will fill six wine glasses. 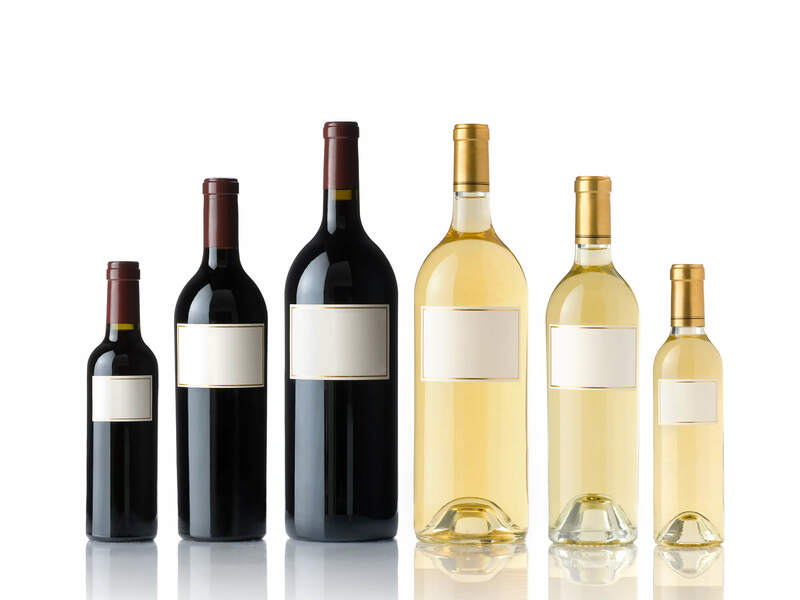 The other two most common sizes are the Half (375 ml) and Magnum (1.5 L) wine bottles. Split (187.5 ml) – used for single servings. Half (375 ml) – half a standard bottle. Standard (750 ml) – found everywhere. Magnum (1.5 L) – two standard bottles. Double Magnum (3.0 L) – two magnum bottles and fun for parties. Jeroboam (4.5 L): six standard bottles. Imperial (6.0 L) – two double magnum bottles. Salmanazar (9.0 L) – 12 standard bottles or a case of wine! Balthazar (12.0 L) – at two imperial bottles, you’re going to need help carrying the thing. Nebuchadnezzar (15.0 L) – a beast holding 20 standard bottles. Wine bottle shapes are a lot more diverse. Though there are a few typical shapes, many are customized. The most common two shapes are the Bordeaux bottle and the Burgundy bottle for still wines, and then a Champagne bottle for the bubbles. The Bordeaux bottle has a high shoulder and is named because of its common use for styles like Merlot, Cabernet Sauvignon and Sauvignon Blanc. The Burgundy bottle has a sloping shoulder and is commonly used for Pinot Noir, Chardonnay, Syrah and Grenache. Dessert styles are generally tall, thin bottles with a high shoulder, but again, there are no universal standards. We have corks, screw caps, crown caps and vino-seals. Though corks remain the traditional closure, more than 30% of wine bottles use an alternative seal. Corks are great for fine wines and reds that can benefit a bit from a slow exposure to oxygen. Eventually however, wine will break a cork down. Have you ever opened a 20+ year old bottle? Other closures, particularly the screw cap are ideal for young, fresh wines that won’t benefit from aging or oxygen exposure. So once a bottle is opened, is it possible to preserve the wine? But of course! An excellent idea would be to transfer the remaining wine to a smaller container. The smaller the bottle, the less empty space, and therefore, less room for oxygen. But even if your wine is filled to the top, oxygen will still have its way with your wine after a few days. Enter zzysh® Wine and Champagne Preservers. 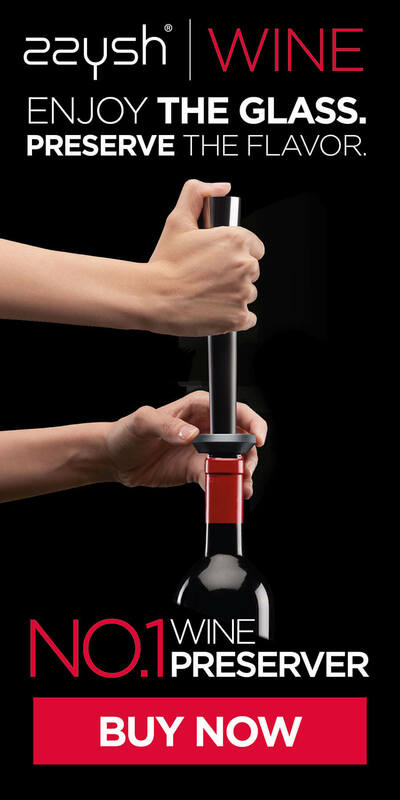 Fitting nearly any bottle out there, zzysh® can preserve a bottle of wine for weeks up to months. All you need to do is seal the bottle back up with our revolutionary seal, zzysh® it and listo! With zzysh®, everything you loved about the wine —its color, aromas, flavor and fizz, in the case of sparkling wines— will be exactly the same as the day you opened it. So now that you know about wine bottles, it’s time to savor each and every drop inside of one. And if you can’t finish the bottle, just zzysh® it.